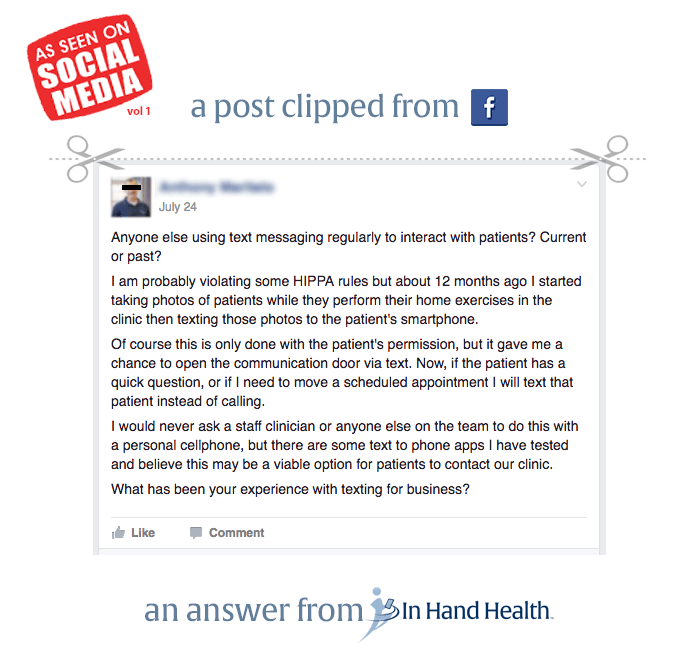 Note: This article on HIPAA compliant text messages is the first of a series that address issues raised by physical therapists on various social media network groups where we are also members. If you have heard the term HIPAA, you know you should not send regular text messages to a patient. And if you have not heard the term HIPAA, you should probably stop practicing for a while and get educated on it. But let’s at least cover basic HIPAA Rule 1: You have an obligation to secure your patients’ protected health information (PHI) by at least sending HIPAA compliant text messages. You open the door for violations of Rule 1 when you discuss that information in non-secured communications. You’re also at risk when you use cell phones, computers, or other devices without the proper safeguards on them. There are many preventative measures you can take. Use a communications system that transmits data with secure socket layer (SSL) technology. Ensure access to the system requires passwords unique to each user. Don’t just close your web browser; sign out of the application when you finish a session. Better yet, look for a system that automatically signs users out and deletes its temporary local storage after a period of inactivity. Also look for encrypted data storage, preferably off-site in the cloud. With so many high profile data breaches in recent months, PHI and HIPAA compliance are high on the list of priorities for credible medical software companies. Insist on HIPAA compliant text messages and other secure communications in the products in your practice. And then, train your staff on how to use them. It’s not unprecedented for physical therapists to be penalized for HIPAA violations. Don’t be the next PT practice to make the news for all the wrong reasons. In fact, your attention to HIPAA compliant text messages and protecting PHI can be one more solid reason for your patients to put their trust in you. 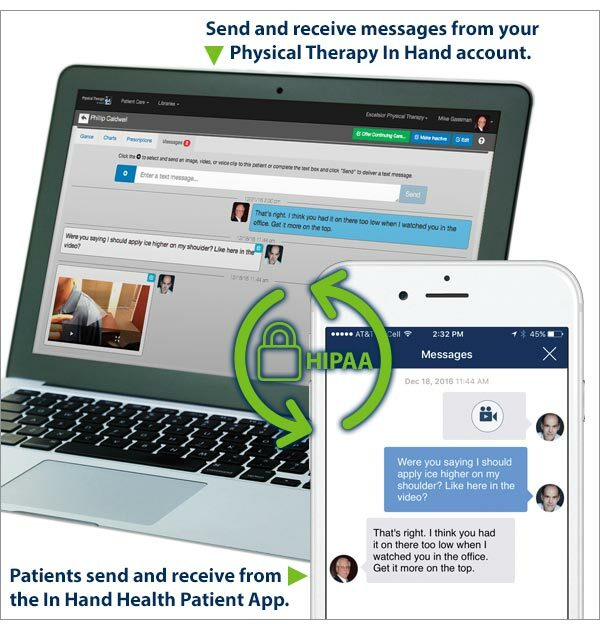 BTW, HIPAA compliant text messages are at the center of the In Hand Health solution. You can trade secure messages in various formats (text, images, video, and voice clips) between your office and a patient’s cell phone.